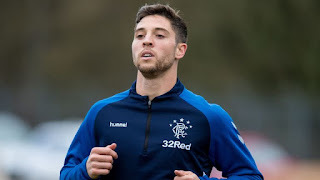 Steven Gerrard has warned Rangers fans not to expect much from either Matt Polster or Glen Kamara for around two or three weeks, after he confirmed neither player is remotely close to match fitness and they won’t be considered for selection for some time. It’s a bit disappointing really, that Rangers’ new players can’t immediately have an influence and we’ll have to wait deep into February before we see our them in action. With games coming thick and fast now it’s imperative Gerrard has the best options at his disposal as quick as possible, but sadly for now we’ll have to wait a bit longer before Kamara and Polster are included in this. I criticised Kamara in an earlier post for downing tools at Dundee. Now I hear that we hasn't played or trained for 3 weeks. Nothing he can do about not playing if he's not picked but if he's not playing then presumably he's not injured. So why hasn't he trained? What type of professional have we signed? Not a good start Glen! We agree with this to be perfectly honest. We don’t really condone this lad’s attitude or professionalism and hope it doesn’t bite us in the rear end down the line. Yeah, I could just see the comments on here if there were negotiations going on and they agreed a price and he got injured in training. What would you have thought then? The assumptions you make about the guys professionalism is outlandish as you have no idea what was going on behind the scenes. JJ was obviously different as they were told he'd be going nowhere until the end of the season. What absolute piffle Jackobyte. Don’t recall any negative comments when we were in negotiations while Lafferty or Docherty were in training. This post really is complete nonsense and implies this is the first time we’ve ever signed a player who was training. Did you think your logic through before posting this? Not good enough for Rangers! I think Kamara is good enough and he will have apply himself or he won't break into the first team . The lad Polster could be a shrewd signing as he also has potential . Mark Allen and Steven Gerrard must know what the plan is ...?